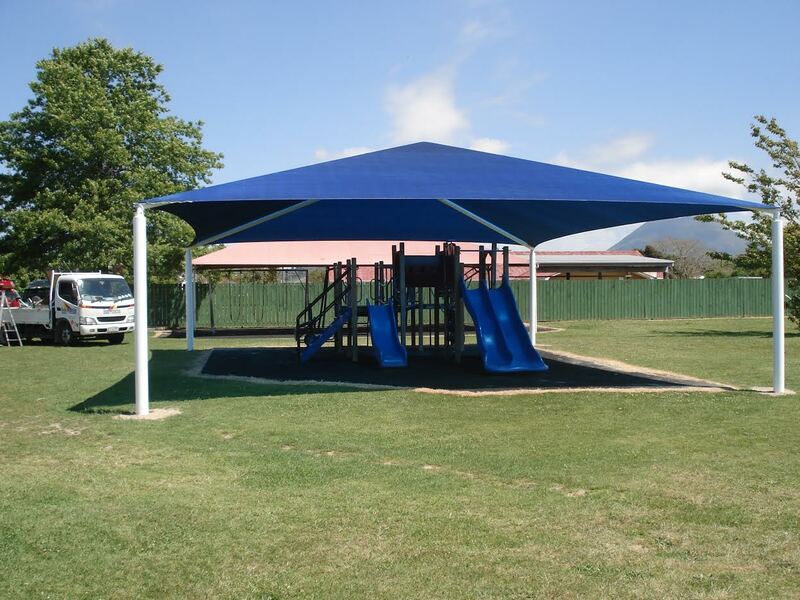 Hip roof structures are affordable and a superb, easy way to cover large outdoor areas. 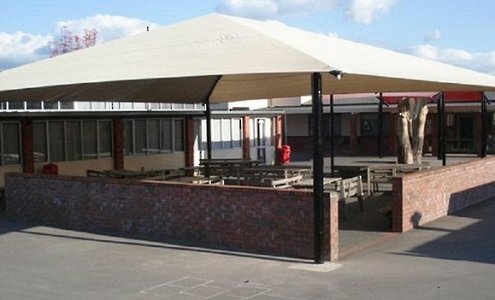 Commonly used for shade and waterproofing for schools, hospitals, pool areas, outdoor seating, car parking and other outdoor areas. The hip roof design features clean, straight lines so they easily blend in with surrounding buildings and structures. 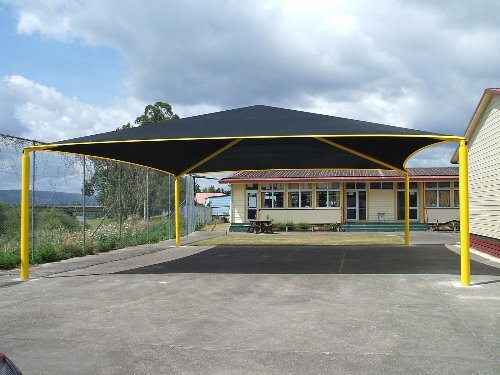 Our hip roof design sun shades are available in a wide variety of colours and fabrics, all of which meet or exceed the 94% UV blockage as recommended by the NZ cancer association. They can also be fitted with PVC fabrics which makes them fully waterproof, further adding to the cover provided. 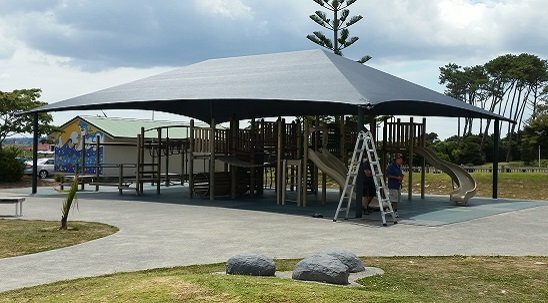 Current std sizes range from 4m x 4m up to 20m x 12m, on four (4) support posts, or they can be custom made to suit your requirements. 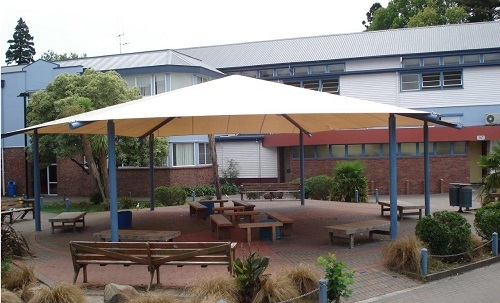 Hexagonal units are also available up to 14m diagonal measurements. 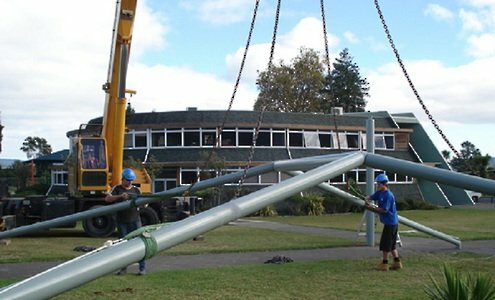 All units are made from pre-galvanised or Hot Dipped galvanised high tensile, grade 350 steel for strength, longevity and rust prevention, finish is available in galvinised, powder coated or painted options. 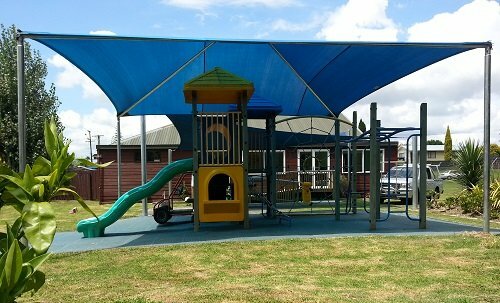 The units are designed to last from 15/20 + years, providing an extremely cost effective option for additional sun or rain protection. There is an option to install these and many of our other products depending on the size and design. You will get advice and a detailed installation guide if you choose to DIY.